Wanna improve your service and keep your team motivated? 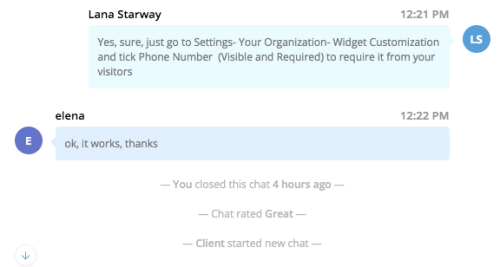 We’ve added some updates that let you measure customer satisfaction and see your agents’ performance right after each chat. From now on all communication with customers can be organized in separate conversations. 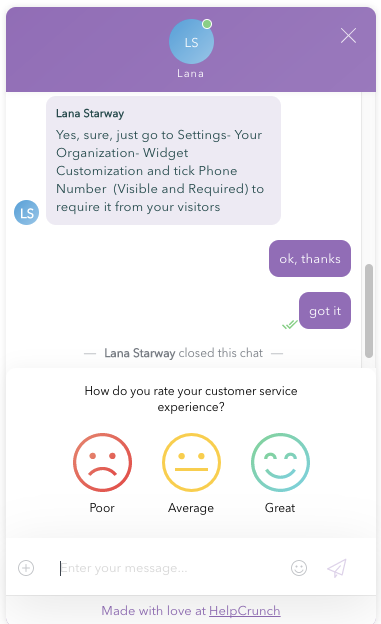 After the issue has been resolved, the agent closes the chat and the visitor is encouraged to rate his/her live support experience with an emoji, which can be either great, average or poor. Cool, eh? People will appreciate that their voice matters for your company. So how to close the chat and ask for a rating? When the problem is solved, a support agent clicks on the gear icon in the chat window and chooses Close chat in the drop down. 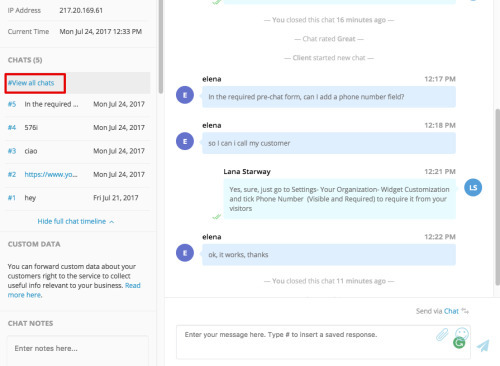 In this way, every chat becomes a support ticket letting you manage your customer communication as in any CRM or help desk system. The rating feature can be enabled or disabled at all in the settings according to your preference.